FULL REVIEW WILL BE ON AUGUST 14. 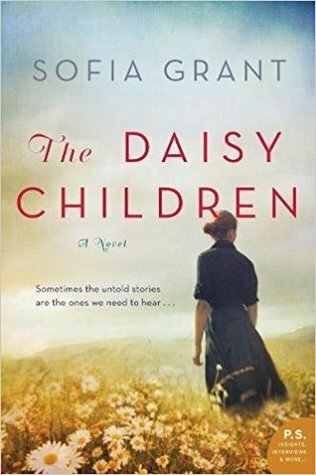 "THE DAISY CHILDREN is a lovely, heartwarming saga revealing family secrets through letters and photographs with the story being wrapped around a little known historical event. Women's fiction fans will adore this book and will want to recommend it to everyone who loves family drama, family history, and family secrets.The ending was terrific, and I didn't want the book to end." Loved this book. It was great to see the mystery of the grandmother unfold. It is interesting and sadly true that we don’t know as much as we should about our ancestors. Thanks William Morrow and Goodreads for the giveaway. Love the fact that you can find family at any point in life. I won this in a Goodreads giveaway.The writing was exceptional but I found the attempt to add romance into the story a bit too much. LOVED this! What an emotional journey, with twists and turns to the end! I know this is a standalone, but I almost wish it were the start of a series. Great characters, great story!